Daniel Lambach currently is an Interim Professor of International Relations at the University of Duisburg-Essen (Germany). He holds a PhD in Political Science from the University of Cologne (2006) after obtaining a Diplom in Political Science and Economics from the University in Marburg. Editor’s note: Publication of this interview marks a milestone in the development of ExploringGeopolitics as Sara Fregonese is the 100th contributor to the website. Many thanks to all scholars that made an effort to make the website so much larger than envisaged at the start! Emel Akçali (1977) holds the Turkish and Cypriot nationality. She graduated in International Relations at both the American University (Paris, BA) and at the Université de Galatasaray (Istanbul, MA). Ms Akçali obtained her PhD in Political Geography at the Geography Institute of Paris IV-Sorbonne. Dr. Gideon Biger (Jerusalem, 1945) holds the Israeli nationality and obtained his PhD in historical geography at the Hebrew University (Jerusalem) in 1979. 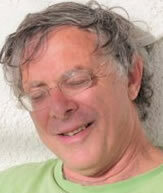 He is currently professor in the department of geography and human environment at Tel Aviv university.